Woodsy Studio, an indie developer team based in St. Louis, MO, just released its latest game called Echoes of the Fey: The Fox’s Trail. The Fox’s Trail is the first episode in the Echoes of the Fey series. It’s a visual novel that blends the genres of high fantasy and mystery, laying the groundwork for several detective stories. Follow Sofya Rykov, a private investigator that can transform into a cat, as she embarks on the case of a missing soldier. 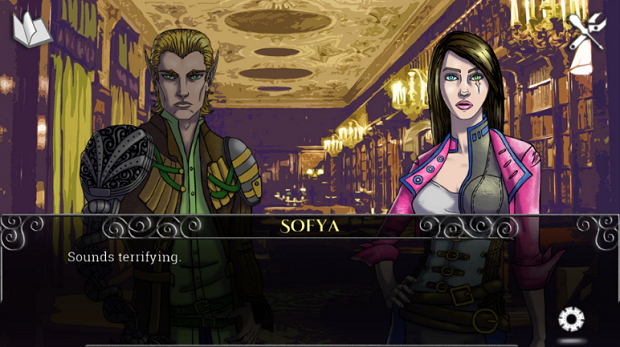 You can pick up Echoes of the Fey: The Fox’s Trail on Steam. Don’t miss out on the launch discount of 20% off, going on until August 23!